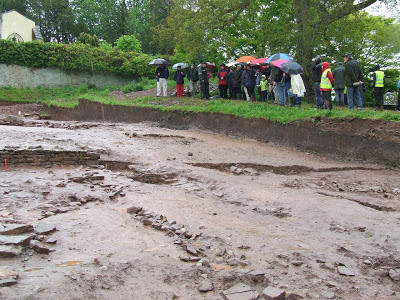 Berkeley’s Paddock trench has revealed more information suggesting the site was a part of an Anglo-Saxon minster. But what were minsters and why are they so important? Minsters are the forefathers of common English parishes, they were the initial religious dwellings in early Anglo-Saxon Christianity. The first minsters were founded a century after Augustine of Canterbury’s religious mission to Anglo-Saxon England in 597AD, and they are found in the Royal charters in the seventh century. Anglo-Saxon Kings made grants of land to named individuals, which then found a minster. They were commonly founded by king or royal thegn (or thane), with the primary purpose to support the king and the thegn in regular worship of the divine office.